I captured a few short (30 second) video clips while at Entheos Music festival 2008 on my Canon S80 digital camera. Cooliris (already known for their webpage preview when you hover over a link) have a plugin available for you browser called Piclens. 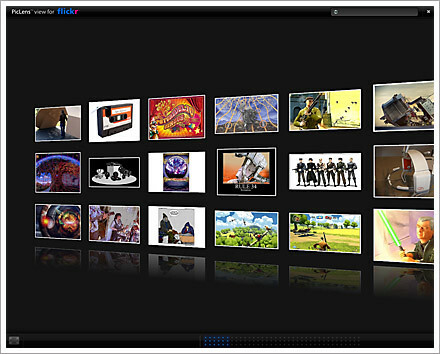 After installing, with a single click you will be able to transform your flickr or youtube browsing to a beautifully rendered fullscreen photo wall. It’s is actually pretty simple to get Piclens working on your blog. 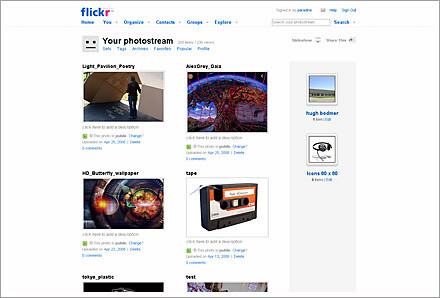 Simply host all your photos on Flickr (or similar piclens supported website). That way the little piclens play button is just visible and working. So instead of uploading your picture directly to wordpress – upload them to Flickr (there is a good Batch Uploading tool if you upload photos all the time). Thats it! When you publish your post you’ll now see the Piclens icon for any/all pics you have hosted on Flickr. Girlfriend Team Fortress 2 is a completely entertaining video montage from a guy who recorded his girlfriends first foray into the world of online first person shooters. Basically I recorded my girlfriend (who I would not call a gamer) playing Team Fortress 2 for the first time. It’s quiet an interesting experiment, to see how her skills improve as she gets over the initial learning curve and how she doesn’t have any of the ground work that most gamers have in knowing the general rule sets and principles of games.